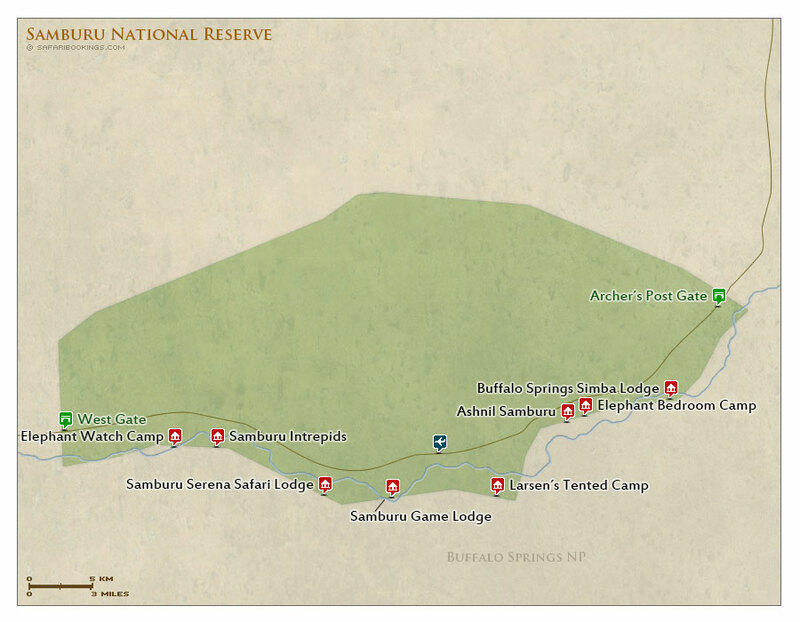 Samburu National Reserve – Travel Guide, Map & More! Samburu is the most popular reserve in northern Kenya. Wildlife viewing is good, and most big safari animals are easily spotted. 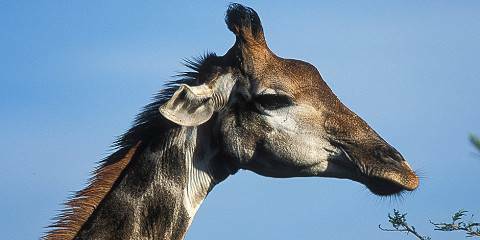 The arid environment is home to a variety of north Kenya specials – both birds and mammals. Samburu offers great wildlife viewing and four of the Big Five are present. 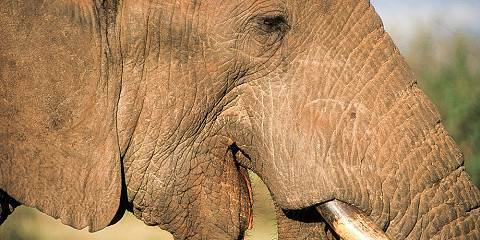 Rhinos are absent, but big herds of elephant cross the reserve. Of the big cats, leopards are very rewarding with some habituated individuals giving high-quality sightings. Most interesting are the northern Kenya specials including Beisa oryx, lesser kudu, Reticulated giraffe, Grevy's zebra and the odd-looking gerenuk. 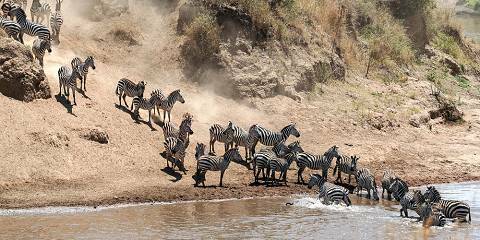 Samburu protects an area of semi-arid savannah extending from the lovely Ewaso Nyero River. 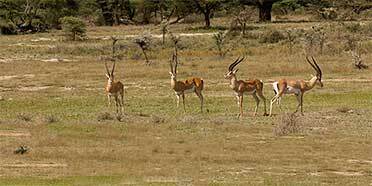 The reserve is made up of riverine forest along the water and dry acacia scrub peppered with termite mounds. Koitogor Hill marks the middle of the reserve. When it comes to temperature, hot is the best way to describe Samburu. That said, the average temperature more than halves at night – rug up if you’re heading out on safari when the sun isn’t high in the sky. The Dry season (June to September) lives up to its name, with almost no rain. Similarly, the Wet season (October to May) gives the landscape a regular wash.
Dust hangs in the air in the Dry season (June to September), giving the landscape a hazy look. But this is definitely the best time to check out the local wildlife due to decent road conditions and little vegetation to obscure your view. An exception is the birdlife, which is at its most vibrant and spectacular in the wetter months. Want to Visit Samburu NR? Different world! Variety and River view is excellent.